I spent much of the past year harping on AMD selling Nehalem-sized Phenom IIs for less than Intel sold Nehalems. With Lynnfield, Intel actually made Nehalem even bigger all while driving prices down. Like I said, what do you do when you're still making boatloads of money in a recession and are about to start emptying your 45nm fabs? Despite being cheaper, Lynnfield is larger than Bloomfield. The larger die is due to one major addition: an on-die PCIe controller. 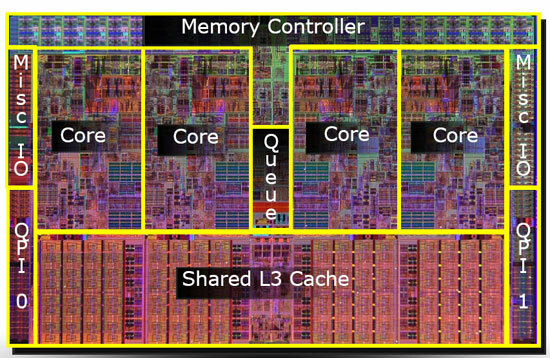 The pink block to the right of the die is the PCIe controller, that's 16 PCIe 2.0 lanes coming right off the chip. Say hello to ultra low latency GPU communication. 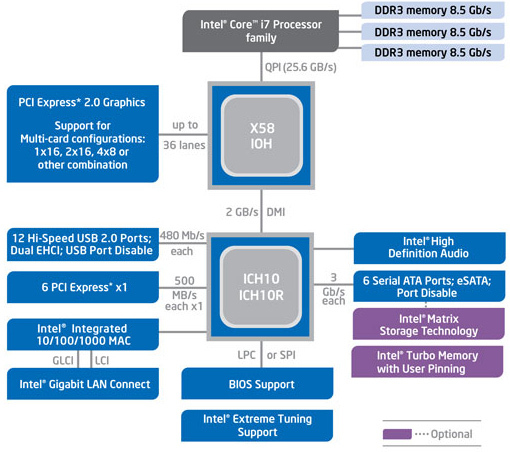 You'd think that Intel was about to enter the graphics market or something with a design like this. Sacrifices were made to reduce CPU, socket and board complexity. Gone are the two QPI links that each provided 25.6GB/s of bandwidth to other CPUs or chips on the motherboard. We also lose one of the three 64-bit DDR3 memory channels, Lynnfield only has two like a normal processor (silly overachieving Bloomfield). 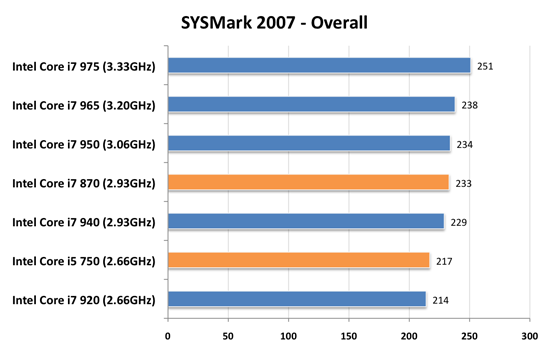 The sum is that Lynnfield is exclusively single-socket; there will be no LGA-1156 Skulltrail. While the dual-channel memory controller isn't really a limitation for quad-core parts, six and eight core designs may be better suited for LGA-1366. The loss of QPI means that Lynnfield doesn't have a super fast connection to the rest of the system, but with an on-die PCIe controller it doesn't matter: the GPU is fed right off the CPU. 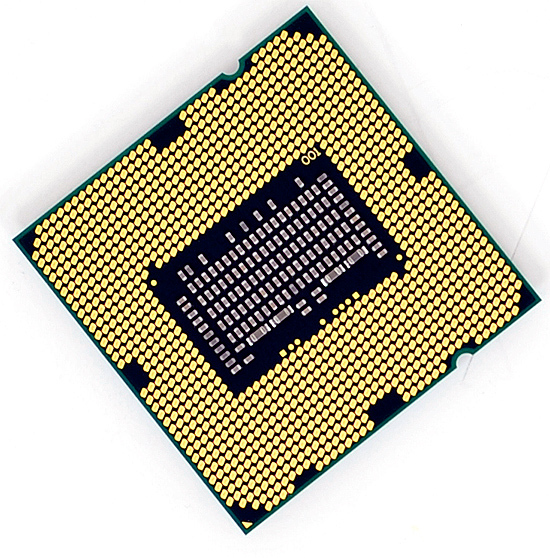 We get three Lynnfield CPUs today: the Core i7 870, Core i7 860 and the Core i5 750. Intel's branding folks told us that the naming would make sense one we saw the rest of the "Core" parts introduced; yeah that was pretty much a lie. At least there aren't any overlapping part numbers (e.g. 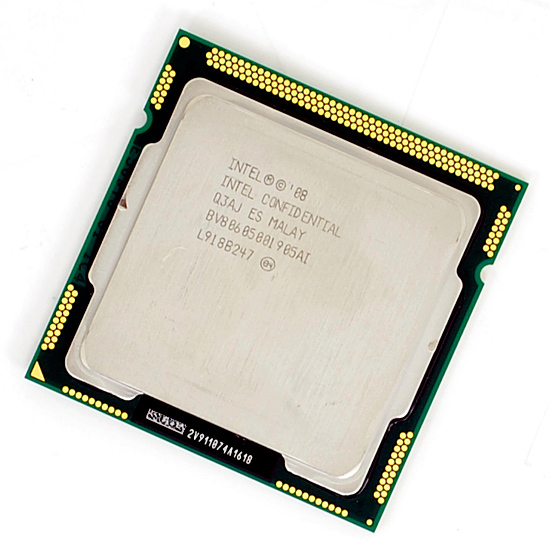 Core i5 860 and Core i7 860). 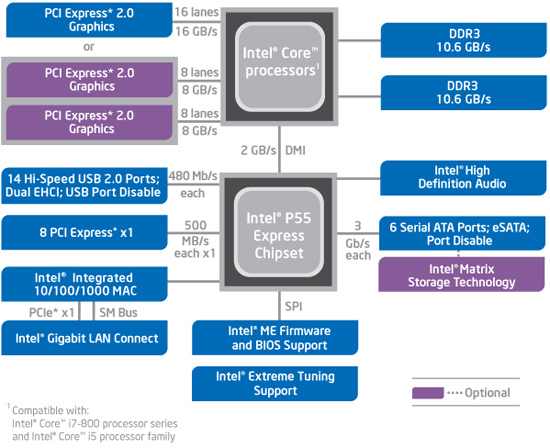 The i7 in this case denotes four cores + Hyper Threading, the i5 means four cores but no Hyper Threading. The rules get more complicated as you bring notebooks into the fray but let's momentarily bask in marginal simplicity. 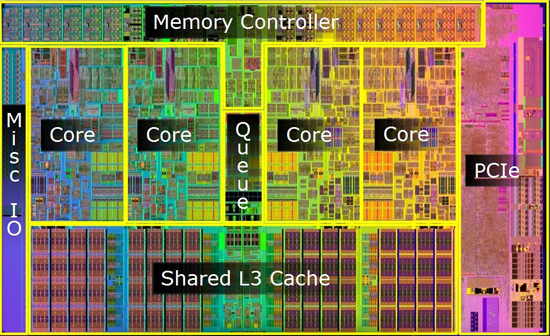 Keeping Hyper Threading off of the Core i5 is purely done to limit performance. There aren't any yield reasons why HT couldn't be enabled. For $196 you're getting a processor that's faster than the Core i7 920. I'm not taking into account motherboard prices either, which are anywhere from $50 - $100 cheaper for LGA-1156 boards. I don't believe LGA-1366 is dead, but there's absolutely no reason to buy anything slower than a 965 if you're going that route. 1/ There is no chance that any of these chip can run safely with no fan. 2/ You dont get huge temperature increases if you dont overvolt, just clock changes result in very small temperature changes. look at the article you linked. The 3 new chips use EXACTLY the same power despite their differing clock speeds. 3/ New energy saving technology works with overclock just like it does with stock clock ed CPUs (eg energy states, my i7 is overclocked to 4ghz on stock volts, when its not needed it clock down - same end effect as these new chips (albeit slightly less elegant)). 1- I never said anything about running the CPU w/o a fan. Fanless watercooling is an option, as is quiet low rpm fans. 2- Clocking w/o increasing voltage does increase heat and whether or not you consider that to be a significant amount depends on the cooling solution you use. I made no claim that OC'd temps would increase as much as overvolting. Have a look at the SLI/CF Multi-GPU Gaming page, I include some GPU limited tests at the bottom of that page. At higher resolutions P55, X58 and even Phenom II/790FX all perform the same if you're GPU limited. The PCIe limitations of P55/Lynnfield only come into play when you're running in multi-GPU mode because the x16 interface gets broken up into a pair of x8s. After thoroughly reading a lot of the articles at Toms, Anand, xbit etc, Lynnfield looks great and has been worth the wait. However, it's not an absolute sell as a gamer box IMO. My g/f and I have been waiting to build a pair of new gaming computers, but wanted to see what i5 had to offer first. 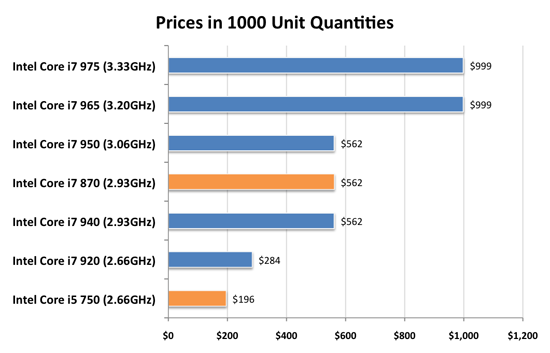 Now that NDAs are down, the $30-70 savings for p55 versus comparable x58 mobos is great, but some things about i5 still make me want an i7 920 instead. My g/f and I plan on buying a pair of GTX 275s, one for each computer. Then later on as our systems age, we'll put both 275s in one box and buy a newer vid card for the other system. We also moderately overclock our CPUs (3.2-3.4 would be what I expect for a i7 920) to boost performance w/o shortening the lifespan too much because our gamer boxes usually end up moving down the line in our home network to become servers or some such. Such a good complete review, EXCEPT there is no information of how much power the CPU used with it was hard overclocked to its 4.2Ghz mark. With its intergrated PCIe 100million transistor count controller inside the CPU this would of been really interesting info. Why are you overhyping this garbage? I'm waiting for Clarkdale. I'm still ticked off that Intel caved to the manufacturers and held off on releasing it, we were supposed to have it in the 4th quarter of this year, now it will be first half of 2010. This new nehalem (even if it's for desktops) will be nothing compared to the mobile nehalem next year.